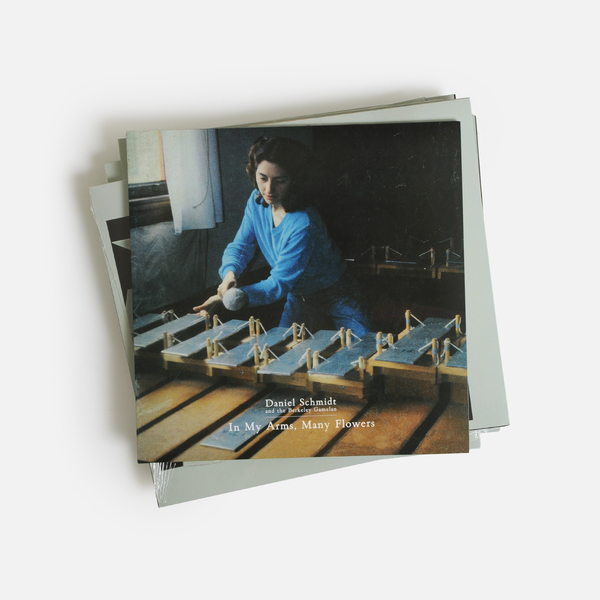 Wonderful suite of archival gamelan minimalism from Bay Area practitioner Daniel Schmidt. 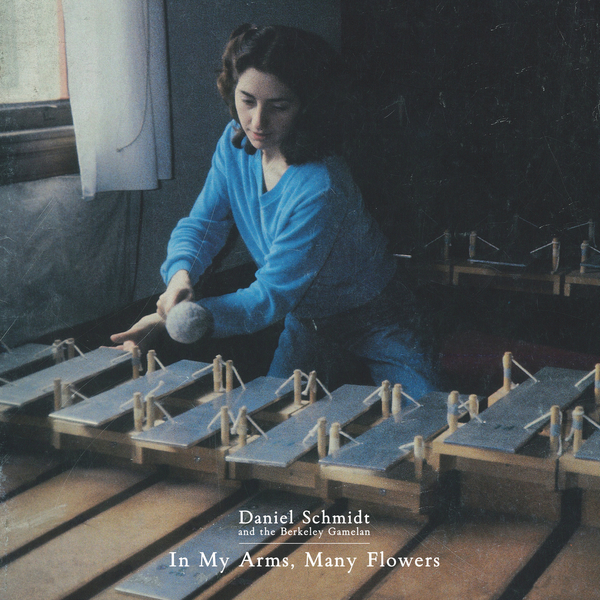 Recital dip into the personal archives of Daniel Schmidt, an integral scholar in the development of American Gamelan. 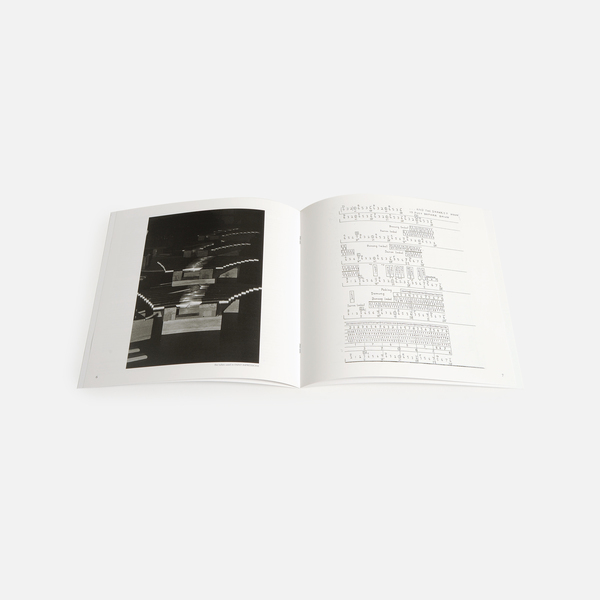 After studying Javanese gamelan at California Institute of the Arts in the early ‘70s, Schmidt set about creating a West Coast movement based around an aluminium version of the instrument – the Berkeley Gamelan - forged of his own design. He’s since gone on to build numerous gamelan instruments, theorise on it’s compositional qualities, collaborate with Lou Harrison, Jody Diamond, and Paul Dresher, and currently teaches at Mills College San Francisco. 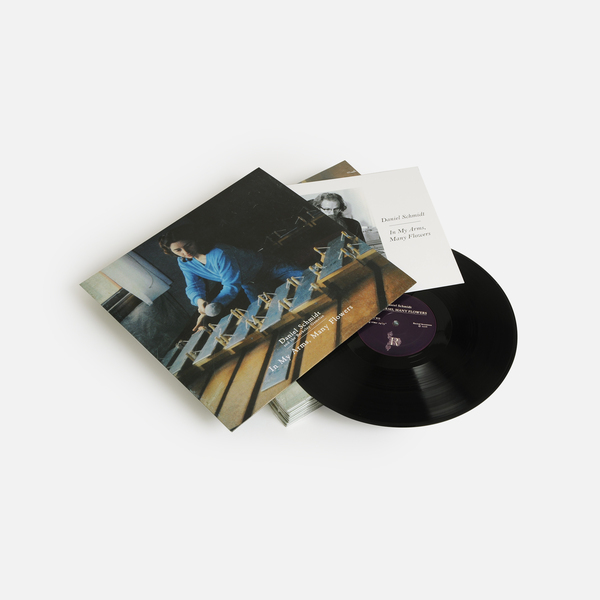 ‘In My Arms, Many Flowers’ captures the American Gamelan movement in its nascent state, the result of a personal invitation for Recital boss Sean McCann to rifle through three boxes of Schmidt’s studio and live recordings committed to cassette between the late ’70s and early ‘80s. 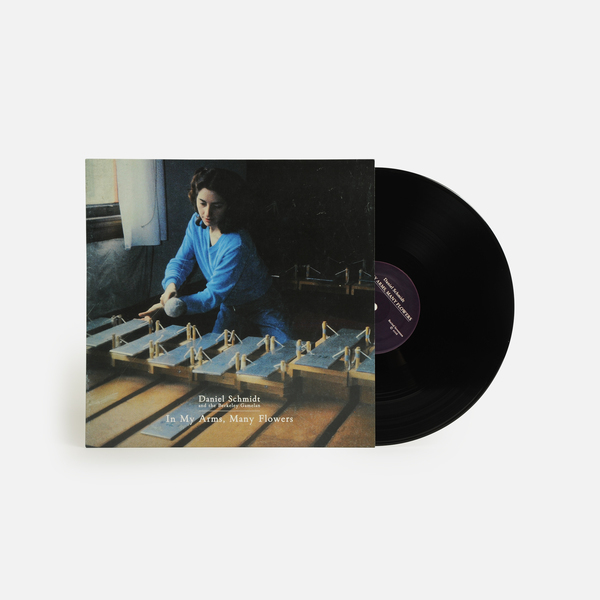 What’s immediately striking here is how Schmidt deviates from the traditional Javanese style of gamelan composition, instead seeking out the minimalist movement of North America for guidance. 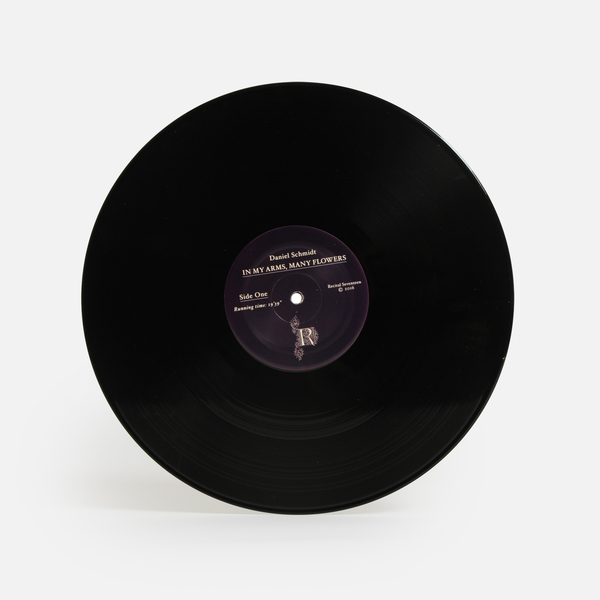 Ghosts is one of two compositions done solely with the gamelan, Schmidt leading a procession of players using traditional techniques on a detailed 14-minute recording of percussive dexterity and intricacy that highlights the spiritual powers of the instrument. 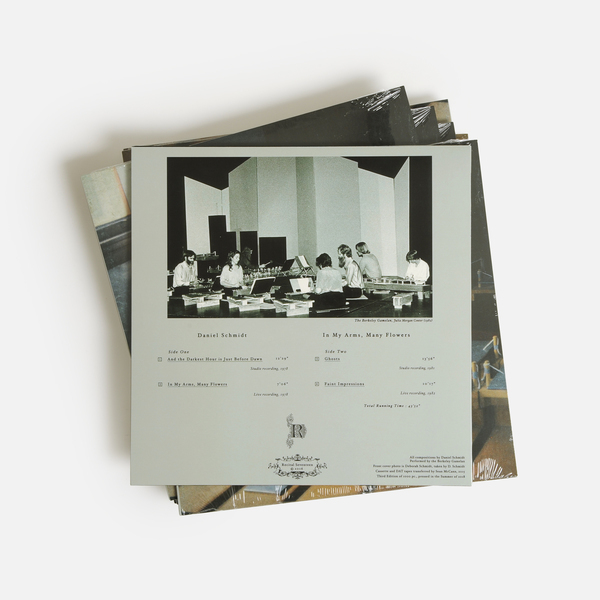 Faint Impressions offers a sombre finale, the ringing melodicism of the Berkeley gamelan set to a backdrop of an understandably captivated audience. Last few copies now in stock. 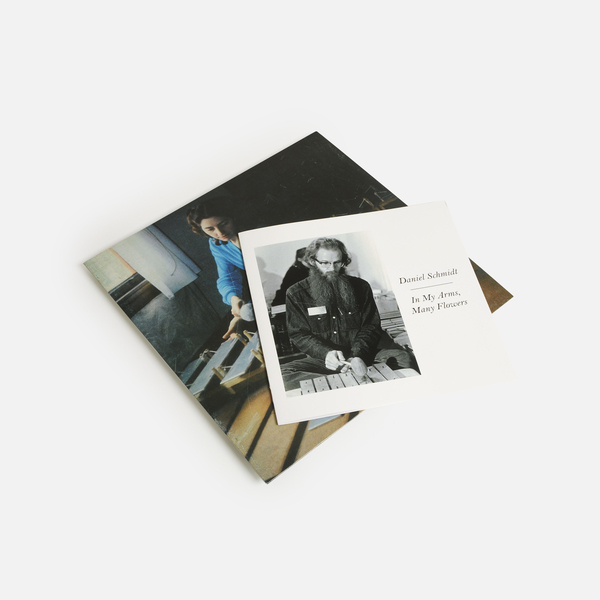 Limited Edition 2018 Repress, incl. 9"x9" 12-page booklet with program notes & score excerpts, plus an instant download dropped to your account. CD edition includes a bonus 17 minute track and an instant download dropped to your account of the original 4-track album.